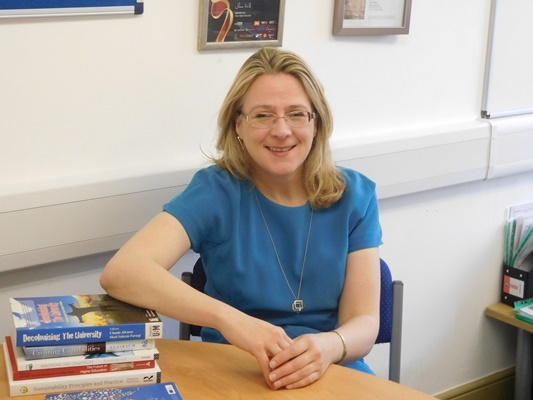 Dr Alex Ryan has been awarded a National Teaching Fellowship from the HEA. These highly competitive fellowships are awarded to leading University educators across the UK based on selection by expert peers. Alex leads the University’s sustainability strategy and LIFT: Learning Innovation for Tomorrow programme, to embed transformative pedagogy and learning for sustainability into academic practice and student experiences. She has worked with a range of higher education agencies and institutions on change projects to build capacity in Education for Sustainability in the UK and beyond.